Clinchy, B. M., & Norem, J. K. (Eds.). (1998). 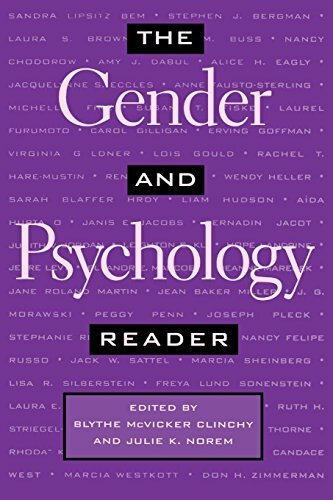 The gender and psychology reader. New York: New York University Press. Norem, J. K. (2001). The positive power of negative thinking. New York: Basic Books. Cantor, N., Norem, J. K., Niedenthal, P. M., Langston, C. A., & Brower, A. M. (1987). Life tasks, self-concept ideals, and cognitive strategies in a life transition. Journal of Personality and Social Psychology: Person and Situation Interactions, 53, 1178-1191. Norem, J. K. (1998). Why should we lower our defenses about defense mechanisms? Journal of Personality: On Current Research and Theory on Defense Mechanisms, 66, 895-917. Norem, J. K., & Cantor, N. (1986). Anticipatory and post hoc cushioning strategies: Optimism and defensive pessimism in "risky" situations. Cognitive Therapy and Research, 10, 347-362. Norem, J. K., & Cantor, N. (1986). Defensive pessimism: "Harnessing" anxiety as motivation. Journal of Personality and Social Psychology, 52, 1208-1217. Norem, J. K., & Illingworth, K. S. S. (1993). Strategy dependent effects of reflecting on self and tasks: Some implications of optimism and defensive pessimism. Journal of Personality and Social Personality, 65, 822-835. Spencer, S. M., & Norem, J. K. (1996). Strategy-dependent effects of imagery and relaxation manipulations: Defensive pessimism, optimism and performance. Personality and Social Psychology Bulletin, 22, 354-365. Norem, J. K. (2000). 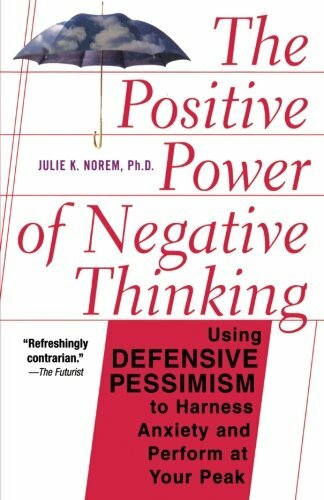 Defensive pessimism, optimism and pessimism. In E. C. Chang (Ed. ), Optimism and Pessimism: Implications for Theory, Research and Practice. Washington, DC: APA Press. Norem, J. K., & Chang, E. C. (2000). A very full glass: Adding complexity to our thinking about the implications and applications of optimism and pessimism research. In E. C. Chang (Ed. ), Optimism and Pessimism: Implications for Theory, Research and Practice. Washington, DC: APA Press. Robins, R. W., Norem, J. K., & Cheek, J. M. (1999). Naturalizing the self. In L. A. Pervin and O. P. John (Eds. ), Handbook of Personality (2nd ed.). New York: Guilford.